Liberals have done an abysmal job of explaining why deficits are good during periods of high unemployment, so ordinary citizens have no reason to think deficits are anything other than bad. It’s tough to prove that deficit spending in times of high unemployment works when the stimulus seems to have failed so badly. 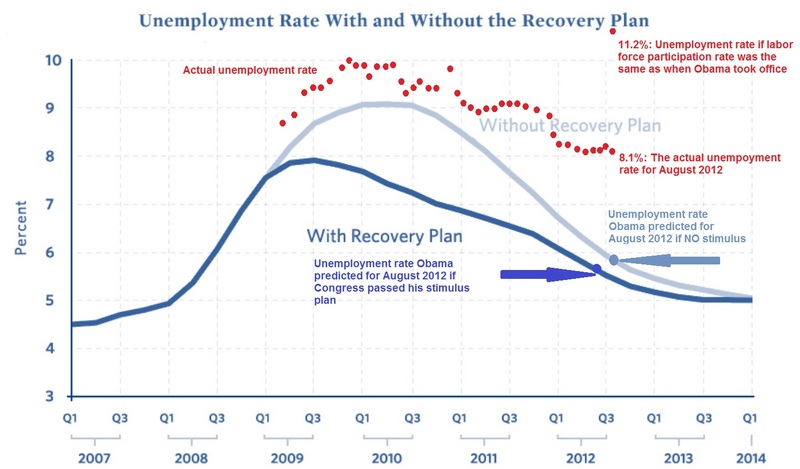 Of course, Bernstein and Romer’s graph was so far off because the economy was much weaker than anyone realized at the time, not because the stimulus failed (it didn’t). But, try telling that to your average person. For most people, that graph is confirmation that deficit spending does not work. That’s a very deep hole for liberals to start in.